The right ute tray design can work wonders for your business. 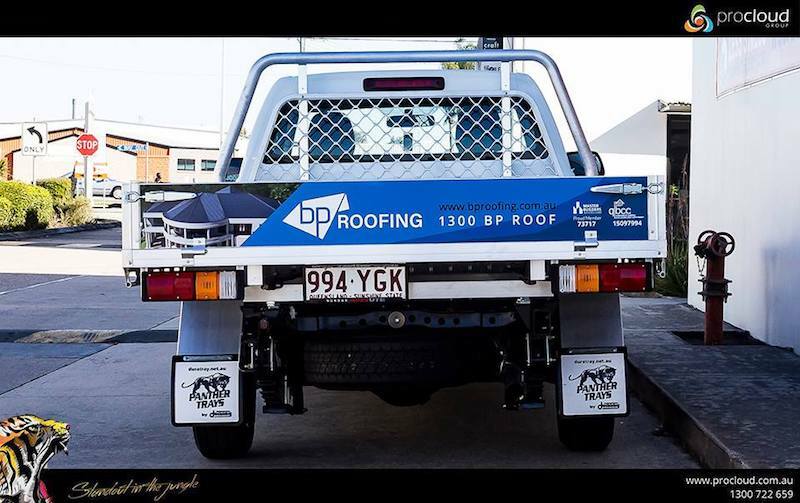 Custom ute tray designs add value and impact to your brand, especially if they’re done by the right team of designers and marketers. In this article, we list why you should consider investing in a custom ute tray design. Ute tray designs can do more than look good. 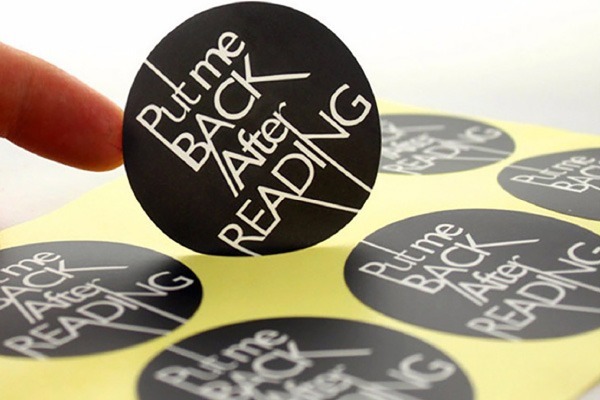 They can also protect your vehicle, especially when implemented as a vinyl wrap. Vinyl wraps add layers of protection to the body of your vehicle. Whether you drive cross-country or are on the highway, your vinyl ute tray designs will hold firm and stay looking awesome. 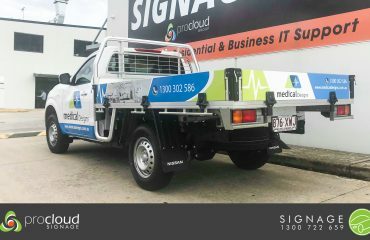 Custom ute tray designs make your brand memorable and renders your vehicle iconic. Whether it be a dual cab ute tray, 4×4, or otherwise, there is a ute tray design for you. Ute tray designs are perfect for all spaces. An interesting design can be crafted to fit within the grooves of your ute tray. In fact, the more complex the surface, the greater the opportunity for a unique ute tray design. You can leave a mark and reach more of your target audience with carefully crafted ute tray designs. Ute tray designs typically come in a range of colours. The tones and shapes of the designs that can fit on a ute tray are limitless. Great ute tray designs make strong statements to your audience using your vehicle to attract and hold attention. 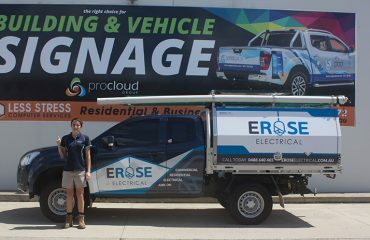 You will turn heads with the right signage in place on your ute. At risk of stating the obvious, ute tray design is mobile. When you compare ute tray designs to billboards and other forms of signage. A moving sign cannot be beat, no matter how small. This is the power of ute tray designs. An already visually interesting object, covered in brilliant designs, and in motion is something worth noticing. It is the most effective mobile billboard for your business you can ever have. Data shows that vehicle signage accounts for the least cost per impression when compared to other advertising mediums such as TV and print. Ute tray designs are no exception. A thoughtfully designed ute tray design works for you, wherever you are. Even when you are off duty and are parked. There is no maintenance cost, no monthly rental, and no subscription fee. Make the right decision, invest in ute tray designs and let your vehicle work for you 24/7. 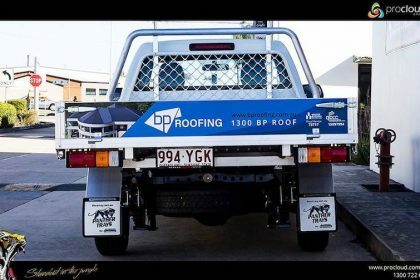 If you are in search of the right ute tray designs for your business, then look no further. 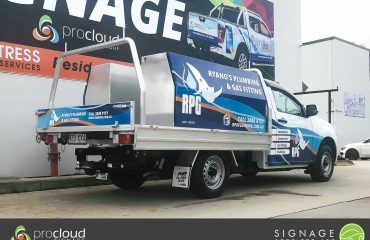 ProCloud Marketing has completed countless ute tray designs in the Brisbane area. Contact us today and let us get started!